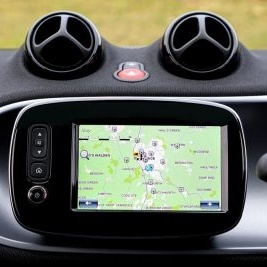 Home » Blog » What is the future of GPS? What is the future of GPS? Global Positioning Systems (GPS) have come a long way since their humble beginnings in the 1950’s, initially used to locate submarines. The space-based Global Navigation Satellite System (GNSS) provides reliable positioning, navigation and timing services to everyone, as well as the military, 24/7 around the world. The first GPS was developed by the US Air Force in 1978. Thanks to recent advancements in technology and many worldwide competitors, the US government is currently in the process of rolling out a long-term modernisation program internationally that hopes to improve GPS performance. This will include new signals for both civilians and the military. This ongoing, multibillion-dollar modernisation program will impact the future of our GPS features. What will the new signals mean for my GPS? Speedier response time – New civil signal L2C will enable the development of dual-frequency GPS receivers, reducing the ionospheric group delay, and speeding up response time. Expect faster signal acquisition, enhanced reliability and greater operating range. Better indoor reception – New civil signal L5 will provide users worldwide with the most advanced civilian GPS signal, transmitting at a high power than current signals and with a wider bandwidth. Due to its lower frequency, you can also expect to benefit from enhanced reception when operating indoors. Improved mobile reception – New civil signal L1C will broadcast at a higher power level and include advanced design for superior mobile GPS reception in cities and other challenging environments, as well as overall enhanced performance. The future of GPS is exciting and Leotronics are proud to be part of it. If you work in the GPS industry, contact us today to find out how we can help you develop and improve your performance worldwide.